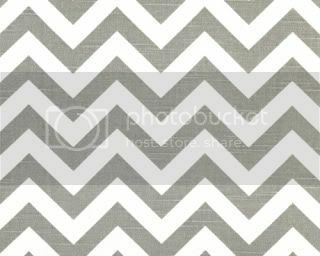 Beautiful storm gray and bright white chevron stripe. A heavy weight cotton from Premier Fabrics, this is a great looking zigzag chevron stripe fabric. Shower curtain measures 72x72 with weighted hem, buttonhole top and is pattern matched at seam.Matching window treatments are also available.